Jesus turned around, and when he saw her he said, “Daughter, be encouraged! Your faith has made you well.” And the woman was healed at that moment (Matthew 9:22 NLT ). “You don’t have enough faith,” Jesus told them. “I tell you the truth, if you had faith even as small as a mustard seed, you could say to this mountain, ‘Move from here to there,’ and it would move. Nothing would be impossible" (Matthew 17:20 NLT). And he said unto them, Why are ye so fearful? how is it that ye have no faith (Mark 4:40 )? And Jesus answering saith unto them, Have faith in God (Mark 11:22). And he said to the woman, Thy faith hath saved thee; go in peace (Luke 7:50). Confirming the souls of the disciples, and exhorting them to continue in the faith, and that we must through much tribulation enter into the kingdom of God (Acts 14:22 ). 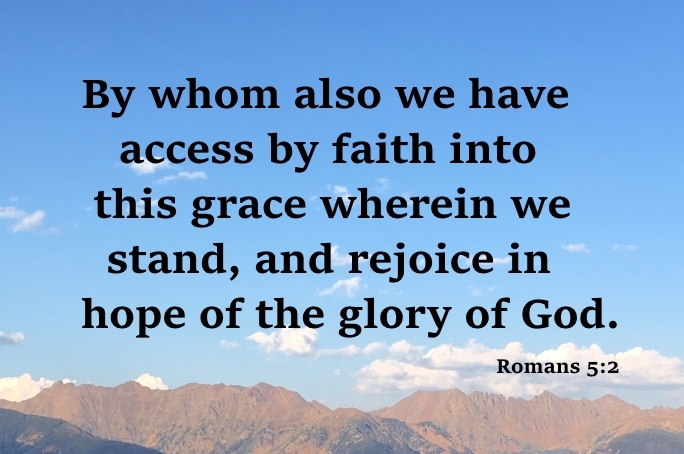 We are made right with God by placing our faith in Jesus Christ. And this is true for everyone who believes, no matter who we are (Romans 3:22 NLT ). For I say, through the grace given unto me, to every man that is among you, not to think of himself more highly than he ought to think; but to think soberly, according as God hath dealt to every man the measure of faith (Romans 12:3 ). Now to him that is of power to stablish you according to my gospel, and the preaching of Jesus Christ, according to the revelation of the mystery, which was kept secret since the world began, But now is made manifest, and by the scriptures of the prophets, according to the commandment of the everlasting God, made known to all nations for the obedience of faith (Romans 16:25-26). 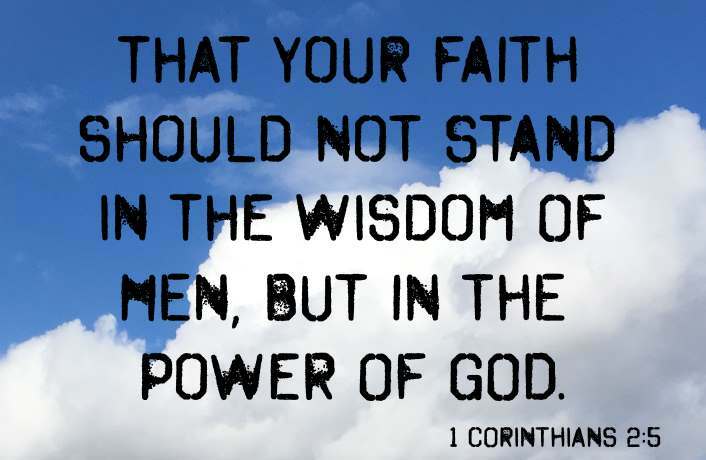 That your faith should not stand in the wisdom of men, but in the power of God (1 Corinthians 2:5). For by grace are ye saved through faith; and that not of yourselves: it is the gift of God (Ephesians 2:8 ). Above all, taking the shield of faith, wherewith ye shall be able to quench all the fiery darts of the wicked (Ephesians 6:16). Only let your conversation be as it becometh the gospel of Christ: that whether I come and see you, or else be absent, I may hear of your affairs, that ye stand fast in one spirit, with one mind striving together for the faith of the gospel (Philippians 1:27). Yea, a man may say, Thou hast faith, and I have works: shew me thy faith without thy works, and I will shew thee my faith by my works (James 2:18).